Is iad na teangacha Ceilteacha na teangacha a d'eascair ón bPróta-Cheiltis, brainse d'fhine na dteangacha Ind-Eorpacha. Sa mhílaois dheireanach roimh bhreith Chríost, bhí na teangacha seo á labhairt ar fud na hEorpa. Inniu, áfach, níl ach sé theanga den ghrúpa seo fágtha beo, agus iad á gcloisteáil in áiteanna in Éirinn agus sa Bhreatain, in oirthear Cheanada, sa Phatagóin i ndeisceart na hAirgintíne, i measc grúpaí scaipthe sna Stáit Aontaithe agus san Astráil, agus ar leithinis na Briotáine san Fhrainc. Chuaigh na teangacha Ceilteacha in Ilchríoch na hEorpa in éag i ndiaidh do na Rómhánaigh a gcuid tailte a shealbhú agus a choilíniú. Cé nár dhruid na Rómhánaigh siar ón gcinedhíothú ná ón gcineghlanadh, ní féidir a rá gur mharaigh siad na Ceiltigh ar fad. Bhí sibhialtacht cuíosach forbartha ag na Ceiltigh, idir bhóithre agus chathracha, rud a chuidigh leis an Laidin dul chun forleithne mar theanga labhartha i measc na gCeilteach. Ní bhreactaí síos a dhath sna teangacha seo ach an chorruair, nó ní dhearnadh saothrú ná caighdeánú liteartha orthu riamh. Ar aon nós, níl ach inscríbhinní scaipthe fágtha díobh inniu. Teangacha tábhachtacha Ceilteacha sa tsean-ársaíocht ab ea an Leapóintis, an Ghaillis, agus an Cheiltibéiris. Ainmneacha iad seo atá baiste ag na saineolaithe orthu, nó níl an oiread fágtha díobh is go mbeadh a fhios againn an t-ainm a thugadh lucht a labhartha orthu ar aon nós. Is iad na hinscríbhinní agus na graifíní sna teangacha seo na foinsí is tábhachtaí atá againn, chomh maith leis an gcorrfhocal ar na boinn airgid, ar uirlisí cistine agus araile. Thairis sin, tá lorg na gCeilteach le haithint ar na logainmneacha agus ar na teangacha Rómánsacha a tháinig in áit na dteangacha Ceilteacha. Na húdair Chlasaiceacha a bhí ag scríbhneoireacht as Laidin nó Gréigis - Iúil Caesar, cuir i gcás - ba mhinic a tharraing siad focail iasachta ón gCeiltis chucu, nuair a bhí siad ag tabhairt cur síos ar nósanna na gCeilteach. Is féidir linn a bheith ina mhuinín go raibh gach teanga Cheilteach san ilchríoch roinnte ina lán canúintí éagsúla, ach amháin an Leapóintis, ó bhí sí á labhairt i limistéar sách cúng. Ní raibh sí in úsáid ach i dTuaisceart na hIodáile, agus í sách cosúil leis an nGaillis. Deir saineolaithe áirithe, fiú, nach raibh inti go bunúsach ach canúint de chuid na Gaillise. Na téacsaí is luaithe atá fágtha againn sna teangacha seo, tagann siad ón tríú haois roimh bhreith Chríost, agus iad ag baint úsáide as aibítrí éagsúla. Ó nár fhorbair traidisiún ceart scríbhneoireachta ag aon teanga Cheilteach san Mhór-roinn, ba nós le lucht a scríofa dul i dtuilleamaí na haibítre a fuair siad in aice láimhe. Mar shampla, bhí Gréigis á saothrú go forleathan i Massilia (Marseille), cionn is gur coilíneacht Ghréagach a bhí ann ar dtús. Dá bhrí sin, thángthas ar inscríbhinní Gaillise i nDeisceart na Fraince atá litrithe san aibítir Ghréagach. Is deacair a rá cén t-am a chuaigh an Cheiltis in éag in Ilchríoch na hEorpa. Glactar leis go raibh na daoine dátheangach i bhfad i ndiaidh ghabháltas na Rómhánach ar an nGaill, agus creidtear freisin go raibh béarlagair measctha nó fiú nasctheanga de shórt éigin á cloisteáil, abair, sa Ghaill (an Fhrainc) ar feadh i bhfad. Cé go síleann na saineolaithe ar fad gur tháinig an t-áitreabh Ceilteach sa Bhriotáin ar an bhfód de thoradh imirce shéasúrach na n-iascairí ó Chorn na Breataine, tá siad ann a deir go raibh an oiread sin fágtha den Ghaillis san am sin is go raibh na hiarsmaí seo in ann a sliocht a fhágáil ar an mBriotáinis, mar dhúshraith theangeolaíoch. Ceiltibéiris a thugtar ar an teanga Cheilteach a bhí á labhairt i Leithinis na hIbéire (Leithinis na bPirinéithe), áit a bhfuil an Spáinn agus an Phortaingéil inniu. Is iad na hiarsmaí is mó atá fágtha againn den Cheiltibéiris ná na táibléid chré-umha ar thángthas trasna orthu i mBotorrita in aice le Zaragoza sa Spáinn. Is é an táibléad ar a dtugtar Botorrita I an ceann is mó acu. Ar thaobh amháin den táibléad seo, feictear céad cúig fhocal fichead de théacs, agus ar an taobh eile, tá aon fhocal is trí fhichid eile. Glactar leis gur rabhadh is ea an téacs is faide acu faoin díoltas a d'imreofaí ar aon duine a sháródh naofacht na háite, agus gur liosta ainmneacha atá ar an taobh eile. An cineál téacsaí is minicí a bhíonn le fáil sa Cheiltibéiris, diomaite de tháibléid Botorrita, is é an cineál ar a dtugtar tesserae hospitalis. Cineál conarthaí síochána atá ann idir dhá threibh nó dhá dhream cosúil le treibh. Is í an Ghaillis an teanga Cheilteach a bhí á labhairt sa Ghaill, is é sin, san Fhrainc. Na hiarsmaí atá ann, is inscríbhinní uaighe agus graifíní, chomh maith leis an gcupla focal a fheictear ar shoithí, ar uirlisí cistine nó ar airm. Cuir i gcás, tá muga ann agus na focail úd neddamon delgu linda ("tá deoch na gcomharsan ionam") greanta air. Ar na hinscríbhinní móra, is fiú inscríbhinn Chamalières a lua. Táibléad luaidhe atá ann, agus ceithre fhocal is trí scór le léamh air. An aibítir a úsáidtear, is í an leagan lámhscríofa den aibítir Rómhánach í. Sórt eadarghuí atá ann nó ofráil mhóideach, is é sin, achainí phoiblí atá dírithe ar na déithe. Tá trí chuid ann, mar atá, guí chuig na déithe, liosta na ndaoine a bhfuiltear ag guí ar a son, agus an mhóid atá na daoine seo a mhionnú. Sa bhliain 1983, tháinig dhá tháibléad luaidhe chun solais i L'Hospitalet-du-Larzac. Tá céad is trí scór focal ann, agus is é an chuma atá ar an scéal gur mallachtaí ó bheirt dhraíodóirí atá ann. Is í inscríbhinn Larzac an téacs is faide atá ann as Gaillis. Na teangacha P-Cheilteacha a labhraítear inniu, is gnách teangacha Breatnacha nó Briotanacha a thabhairt orthu. Dhá theanga bheo atá ann, is é sin, an Bhreatnais, atá ó dhúchas ag leathmhilliún duine sa Bhreatain Bheag in iarthar na Breataine Móire, agus an Bhriotáinis, a labhraítear i Leithinis na Briotáine in iarthuaisceart na Fraince. An tríú teanga Bhreatnach a bhí ann, mar atá, an Choirnis, chuaigh sí in éag ag druidim chun deiridh don ochtú haois déag, nuair a shíothlaigh Dolly Pentreath, an cainteoir dúchais deireanach, i Mousehole i gCorn na Breataine. Inniu, tá gluaiseacht teanga ag iarraidh an Choirnis a athbheochan, ach níltear ar aon bharúil faoin gcineál Coirnise ab fhearr a úsáid. Na teangacha Q-Cheilteacha arís, is gnách teangacha Gaelacha a thabhairt orthu. Dhá theanga bheo atá ann fosta, mar atá, Gaeilge na hÉireann (nó an Ghaeilge) agus Gaeilge na hAlban (nó an Ghàidhlig). An tríú teanga acu a bhí ann, mar atá, Gaeilge Oileán Mhanann nó an Mhanainnis, fuair a cainteoir deireanach dúchais, Ned Maddrell ("Ned Beg Hom Ruy", is é sin, Éamonn Beag Thomáis Rua) bás sna seachtóidí. Tá dornán cainteoirí ann, áfach, a úsáideann an teanga seo inniu féin, agus cuid acu ag tabhairt le fios gurbh iad a seanmháthair agus a seanathair a mhúin an teanga dóibh. Tá gluaiseacht athbheochana teanga ag obair in Oileán Mhanann chomh maith, agus tacaíocht áirithe phoiblí ag teacht di. Tá sé ina ghnáthscéal ar fud an domhain gur teangacha marbha iad na teangacha Ceilteacha ar fad, rud a chuireann go mór mór isteach ar aon duine a dhéanann taighde orthu, go háirithe ar an staid agus ar an stádas atá acu sa tsochaí. Rinne Torlach Mac Con Midhe taighde ar an dóigh a ndeachaigh na teangacha Ceilteacha i laige i "margadh na teanga" agus ar na díoscúrsaí faoi na teangacha Ceilteacha sna teangacha móra - an Béarla, an Fhraincis agus an Ghearmáinis (Mac Con Midhe, 2005). I leabhar eile faoin nGaeilge i dTuaisceart Éireann, Irish Language in Northern Ireland - The Politics of Culture and Identity (Macmillan's Press 1999), thagair Camille O'Reilly don rud ar ar bhaist sí "díoscúrsa na teanga mairbhe". Is é an rud atá i gceist leis an díoscúrsa ná rialacha nó dlíthe neamhscríofa a chuireann srianta leis an dóigh ar féidir trácht a dhéanamh ar rud ar leith - ar an teanga, mar shampla. Coinníonn na rialacha seo saoldearcadh áirithe, nó fiú saol áirithe - réaltacht shochúil ar leith - i bhfeidhm. Mar sin, nuair atá díoscúrsa na teanga mairbhe i bhfeidhm, ní féidir le haon duine a rá nach teanga mharbh í an Ghaeilge, cuir i gcás, - nó má dhéanann sé a leithéid, tarraingeoidh sé líomhaintí faoi neamhoibiachtúlacht agus náisiúnachas anuas air féin. Is é is toradh do nósanna an díoscúrsa seo, áfach, ná go nglacann go leor daoine leis nach féidir leis an duine a bhfuil Gaeilge aige bheith ina thaighdeoir oibiachtúil agus é ag déanamh staidéir ar chúrsaí na teanga. Mar sin, níl i gcuid mhór den chaint faoi "bhás" na dteangacha Ceilteacha ach gnáthbholscaireacht ó lucht an aineolais. Ina dhiaidh sin féin, is féidir a rá go bhfuil meath as an ngnáth tagtha ar na teangacha Ceilteacha ar fad le cupla céad bliain anuas. Is minic a chuireann dreamanna náisiúnaíocha Ceilteacha an meath i leith géarleanúintí gníomhacha agus cineghlanadh. Cé go bhfuil áibhéil áirithe déanta acu ar an taobh seo den scéal, is féidir a rá go bhfuil cuid nach beag den cheart acu. Nuair a bhítí ag iarraidh an teanga a ruaigeadh d'aon ogham, áfach, is beag rath a bhí air. Ba mhó an tionchar a bhí ag claontachtaí na forbartha socheacnamúla, agus na daoine ag síleadh gur imthoscaí oibiachtúla iad nach féidir le haon duine mórán a dhéanamh fúthu. In Éirinn, b'é an Drochshaol (an Gorta Mór) a bhain an teanga de bhéal na ndaoine i lár na tíre, cé gur féidir a rá go raibh an malartú teanga tosaithe roimh an ngorta féin in áiteanna cosúil le Contae Chill Chainnigh, mar is féidir a léamh ar chín lae Amhlaoibh Uí Shúilleabháin, cuir i gcás. Ní mór, áfach, tagairt a dhéanamh don mheas mhór a bhí ag ceannairí polaitiúla na nGael féin ar an mBéarla mar theanga. Is é an tuairim a bhí ag Dónall Ó Conaill, mar shampla, ná go raibh an Béarla i bhfad ní b'úsáidí ná an Ghaeilge, agus go raibh sé ní ba thábhachtaí an Béarla a chur ar fáil do na Gaeilgeoirí ná eolas agus faisnéis a scaipeadh i measc na nGael ina dteanga féin (Nic Éinrí, 1971). Is fíric é, agus caithfidh muid talamh slán a dhéanamh de, cé go bhfuil siad ag déanamh aithrise ar Shasana agus ar nósanna na nGall, go bhfuil formhór mór na nGael ar fud an domhain ag glacadh déistine le Sasana, agus iad, ceart nó mícheart - ag baint suilt as mí-ádh Shasana agus ag éirí míshásta faoina rath. Is é an fhuascailt a bhí de hÍde a thairiscint ná filleadh ar an dúchas agus an teanga náisiúnta a athbheochan mar theanga ghnáthchumarsáide agus oideachais. Ar dtús, bhí sé ag iarraidh ceist na teanga agus ceist pholaitiúil na hÉireann a choinneáil scartha ó chéile, agus is iomaí Aontachtach nó Protastúnach a chuaigh sa Chonradh. Ina dhiaidh sin, áfach, d'fhorbair náisiúnachas na láimhe láidire, de réir a dhinimice féin, agus sa deireadh thiar thall, fuarthas ceist na teanga agus ceist an neamhspleáchais pholaitiúil fite fuaite le chéile. Bhí cuid mhór de na luathnáisiúnaithe den diantuairim gur leor saoirse a bhaint amach d'Éirinn agus stát neamhspleách a chur ar bun leis an teanga a shlánú. Ina dhiaidh sin féin, níor éirigh leis an tionscadal seo leath chomh maith agus a creideadh. Ó thaobh amháin, maireann formhór mór na nÉireannach ag labhairt Béarla amháin, agus is fánach focal Gaeilge a chluinfeá uathu. Ón taobh eile, áfach, d'éirigh leis na hÉireannaigh an teanga a choinneáil beo agus a fhorbairt mar ghléas cumarsáide le haghaidh scríbhneoireacht intleachtúil. Thairis sin, hardaíodh a stádas sa tsochaí agus sa státseirbhís. Sa Bhreatain Bheag, ní dhearnadh aon ghéarleanúint ar bhunadh dúchasach an chúige ar chúiseanna reiligiúnda, ós rud é gur Protastúnaigh a bhí iontu. Thairis sin, bhí traidisiún léinn agus léitheoireachta ag na Breatnaigh, mar Phrotastúnaigh, agus leabhair is bileoga bolscaireachta á gclóbhualadh is á bhfoilsiú sa teanga. Nuair a thosaigh an tionsclaíocht ag borradh sa Bhreatain Bheag, b'í an Bhreatnais a teanga. Ní raibh an Bhreatain Bheag in ann an lucht oibre a sholáthar do na monarchana, agus mar sin, tháinig na mílte Béarlóirí aonteangacha isteach ó Shasana le dul ag obair iontu. Chúngaigh a dteanga siúd ar an mBreatnais. B'í an Bhreatnais teanga an teampaill, ach b'é an Béarla a labhraítí ag cruinnithe Pháirtí an Lucht Oibre agus an cheardchumainn, agus nuair a d'éirigh gluaiseacht an lucht oibre ní ba thábhachtaí mar spreagadh intinne don chosmhuintir ná an reiligiún, chúlaigh an Bhreatnais dá réir. In Albain, glactar leis gurb í an díbirt ar a dtugtar Fuadach na nGael (Fuadach nan Gaidheal i nGaeilge na hAlban) nó an Highland Clearance as Béarla ba mhó a chuir luas leis an malartú teanga. Go bunúsach, bhí taoisigh na gclann Albanach tar éis dearmad a dhéanamh dá gcuid dualgais mar choimirceoirí don chosmhuintir Ghaelach, agus iad den tuairim go mbeadh brabús ní b'fhearr sna caoirigh. Mar sin, chuir siad d'fhiachaibh ar an gcosmhuintir na tailte a ghéilleadh do na caoirigh. De dheasca an Fhuadaigh, tá an teanga beagnach imithe sa mhórthír inniu. Is iad Inse Gall, nó na hOileáin Thiar, mar a thugtar orthu go háitiúil (Na hEileanan a-Niar as Gàidhlig) an t-aon áit inar féidir a rá go bhfuil an Ghàidhlig ag maireachtáil mar bheotheanga phobail ansin inniu. Faoin am céanna ar cuireadh an Fuadach i gcrích, tháinig córas scolaíochta ar an bhfód sna Garbhchríocha a thug aitheantas áirithe don Ghàidhlig. Tháinig athrú ar na cúrsaí seo sa bhliain 1872, nuair a bunaíodh scoil náisiúnta aonteangach ina ionad, scoil nach raibh ach Béarla á fhoghlaim inti. Ó sin i leith, bíonn an pobal Gàidhlige ag éileamh tuilleadh úsáide agus stádais don teanga sa chóras scolaíochta, agus an stát iontach mall ag freagairt. Sa bhliain 1918, reachtaíodh dlí nua a d'fhoráil go bhféadfaí Gàidhlig a mhúineadh áit a mbeadh sí á labhairt ag an bpobal, ach níorbh ionann sin is a rá go mbeifí sásta ábhair eile a chur á dteagasc trí mheán na teanga. Faoi lár na fichiú haoise, áfach, glacadh leis go praiticiúil nár mhór dul i dtuilleamaí na Gàidhlige mar ghléas teagaisc a fhad is nach mbeadh an Béarla intuigthe ag na páistí. Is Protastúnaigh iad formhór na nGael in Albain, rud a fhágann go bhfuil ról lárnach ag an léitheoireacht agus ag an mBíoblóireacht ina gcreideamh siúd. Thairis sin, tá cuma an-dúchasach ar shaol reiligiúnda na heaglaise Saor-Phreispitéirí i nGaeltacht na hAlban, agus í go mór mór i muinín nósanna Gaelacha mar chuid de na deasghnátha, ar nós amhránaíocht thraidisiúnta na n-iomann eaglasta. Maidir le ról na Gàidhlige i saol na hAlban taobh amuigh den Ghaeltacht, ní mór cuimhne a choinneáil air nach bhfuil náisiúnachas na nAlbanach bunaithe ar an bhféiniúlacht Ghaelach, murab ionann agus náisiúnachas na hÉireann. Mar sin, an spreagadh atá ann don Bhéarlóir in Éirinn Gaeilge a fhoghlaim is a shaothrú ar chúiseanna náisiúnta, níl a leithéid ann in Albain, nó, ar a laghad, níl sé leath chomh láidir céanna. Cuireann náisiúnachas na hAlban níos mó béime ar na forais náisiúnta, ar nós Phairlimint na hAlban, dlíthe na hAlban nó stair na hAlban. Ní mór a rá, fosta, go bhfuil trí theanga ag Albain ar féidir mórtas cine Albanach a chur in iúl trína n-úsáid, is é sin, an leagan Albanach den Bhéarla chaighdeánta (Béarla na hAlban), an Albainis (an teanga ar a dtugtar Lowland Scots as Béarla) nó an Ghàidhlig féin. Mar sin, má tháinig a leithéid d'eagraíocht agus An Comunn Gàidhealach (is é sin, an Cumann Gaelach in Albain) ar an bhfód sa bhliain 1891, is ar éigean is féidir í a chur i gcomparáid le Conradh na Gaeilge in Éirinn, a bhí ceaptha leis an nGaeilge a chur ar ais i mbéal na nÉireannach sa Ghalltacht. Is iad na cúrsaí cultúrtha an chloch is mó ar phaidrín an Chumainn Ghaelaigh in Albain inniu, go háirithe an Mòd Náisiúnta, an fhéile chultúrtha bhliantúil atá inchomparáide leis an Eisteddfod Genedlaethol sa Bhreatain Bheag agus le hOireachtas na Gaeilge in Éirinn. Le gnó an bhrúghrúpa i gcúrsaí polaitiúla a dhéanamh agus leis na cearta teanga a chur chun cinn, tháinig eagraíocht eile chun saoil i lár na n-ochtóidí, mar atá, Comunn na Gàidhlig. Faigheann an Cumann seo cuidiú agus maoiniú ó Bhord Forbartha na nGarbhchríoch is na nOileán, ar gníomhaireacht fhorbartha é de chuid an rialtais in Albain. Le cabhair an Bhoird seo a bunaíodh cumann ar leith d'fhoghlaimeoirí na Gàidhlige, mar atá, Comunn an Luchd-Ionnsachaidh. Ós rud é go bhfuil Oileán Mhanann sách scartha ó shaol an Bhéarla, mhair an teanga slán na céadta bliain beag beann ar smacht polaitiúil na Sasanach ar an oileán, cé gurbh é an Béarla teanga oifigiúil na mbailte móra agus an riaracháin. Ón mbliain 1334 i leith, bhí an t-oileán á rialú ag tiarna éigin a bhain le huasalaicme Normánach Shasana. An tiarna deireanach den chineál seo, mar atá, Diúc Athol, dhíol sé an t-oileán le coróin Shasana sa bhliain 1765. Bhí an smuigléireacht ina gnó forleathan san oileán, rud a spreag rialtas Shasana chun seilbh dhíreach a fháil ar Mhanainn le dlíthe an Rí a chur i bhfeidhm ansin. Nuair a cailleadh an gnó sin, áfach, thosaigh an t-oileán ag bánú in éagmhais teacht isteach, agus na daoine ag aistriú go Meiriceá ar lorg pá. Shocraigh an chuid is mó de na Manannaigh i Meiriceá síos in Ohio, timpeall ar chathair Cleveland, agus creidtear go raibh an Mhanainnis á labhairt mar theanga phobail i gCleveland níos deireanaí ná in Oileán Mhanann féin. Nuair a bhí na Manannaigh féin ag dul ar imirce ina sluaite móra, chuir turasóirí saibhre Sasanacha sonrú san oileán mar áit saoire, agus thosaigh siadsan ag tonnadh isteach. D'éirigh gnó na cuairteoireachta ina tionscal mór i Manainn, agus ar ndóigh, bhí an Béarla de dhíobháil ar na bundúchasaigh a bhí ag iarraidh cupla pingin a shaothrú ag freastal ar na turasóirí. Dá réir sin, thosaigh an malartú teanga in Oileán Mhanann, agus i lár na naoú haoise déag, scoith an Béarla an Mhanainnis mar theanga thromlaigh san oileán. I dtús na fichiú haoise, bhí an Mhanainnis imithe mar theanga phobail, ach mhair seanchainteoirí in áiteanna go dtí an dara leath den aois chéanna. Fuair an cainteoir deireanach dúchais, Ned Maddrell ("Ned Beg Hom Ruy", Éamann Beag Thomáis Rua), bás ar an seachtú lá fichead de Mhí na Nollag sa bhliain 1974. Thosaigh gluaiseacht athbheochana na teanga i ndeireadh na naoú haoise déag, agus na daoine ag tuiscint go raibh an Mhanainnis ag imeacht go tiubh téirimeach mar theanga dhúchais, agus obair ar leith ag teastáil leis na hiarsmaí féin a shábháil. Bhí bunú Chonradh na Gaeilge in Éirinn ina réamhshampla tábhachtach ag lucht athbheochana na Manainnise. Bunaíodh Yn Çheshaght Ghailckagh, nó Cumann Gaelach Oileán Mhanann, ar an dara lá fichead de Mhí na Márta sa bhliain 1899. Bhí an cumann seo dírithe ar an Manainnis a choinneáil beo mar theanga náisiúnta agus ar litríocht a fhoilsiú agus ar scríbhneoireacht a spreagadh sa teanga. Chuir lucht athbheochana na Manainnise an-bhéim ar an mbéaloideas, nó b'é sin an t-aon litríocht dhúchasach a bhí acu i dtús báire, díomaite de na foilseacháin spioradálta ón ochtú haois déag. Sna blianta 1913-1919, bhí Yn Çheshaght Ghailckagh ag foilsiú Mannin, iris leathbhliantúil ina gcuirtí i gcló idir bhéaloideas Manainnise agus altanna faoi shaol traidisiúnta Oileán Mhanann. Tháinig deireadh leis an iris, áfach, nuair a fuair an t-eagarthóir, Sophia Morrison, bás. Bhí sí ina rúnaí ar Yn Çheshaght agus ina bailitheoir mór béaloidis. I ndiaidh bhás Morrison, bhí an saol Manainnise ciúin go leor ar feadh tamaill, go dtí gur tháinig sracadh nua ann le hobair Mona Douglas. Bhí sise ina béaloideasóir tábhachtach cosúil le Morrison, agus luiteamas aici le náisiúnachas na hÉireann. Cuirtear ina leith, fiú, go raibh sí ag brath ar dhul i dtuilleamaí na Gearmáine Naitsíche le saoirse a bhaint amach do Mhanainn. Ar a laghad, dealraíonn sé go raibh lámh aici i mbunú Ny Manninee Dhooie, eagraíocht náisiúnaíoch a bhí báúil leis na Gearmánaigh, agus de réir an taighde a rinne an scoláire Manannach George Broderick ar stair na gluaiseachta náisiúnaíche i Manainn, bhí níos mó ná báúlacht i gceist. Faoin am céanna a raibh Mona Douglas ag béaloideasóireacht, bhí baicle de scoláirí Ceilteacha ag obair faoi cheannas Ludwig Mühlhausen do lárionad taighde an SS, agus iad ag cur an-spéise in Oileán Mhanann mar áit ina bhféadfadh an Ghearmáin leas a bhaint as an náisiúnachas áitiúil le dochar a dhéanamh don Ríocht Aontaithe. Bhí saineolaí ar leith ag an Lárionad le ceisteanna na Manainnise agus Oileán Mhanann a phlé, mar atá, Gerhard von Tevenar, agus é chomh heolach ar chúrsaí an oileáin is gur léir go raibh cairde nó lucht teagmhála aige i Manainn féin. Mar sin, is dócha go raibh daoine i ngluaiseacht na Manainnise agus iad fonnmhar chun comhoibriú leis na Gearmánaigh. Má bhí féin, áfach, ní bhfuair siad áiméar riamh le sin a dhéanamh, agus mar sin, sheachain cúis na Manainnise an líomhain faoi fhealltóireacht agus faoi Fhaisisteachas a chuir isteach go mór mór ar ghluaiseacht athbheochana na Briotáinise i ndiaidh an chogaidh. Sna blianta iarchogaidh, b'é Douglas Fargher a bhí ina rúnaí ar Yn Çheshaght Ghailckagh agus ina fhear mór gluaiseachta. Sa bhliain 1952, d'eisigh sé achainí ar mhuintir Mhanann an teanga a fhoghlaim agus a shaothrú, agus níos déanaí, i ndiaidh seal a chaitheamh thar lear, bhí sé an-ghníomhach ag réiteach leabhar don chló agus ag athfhoilsiú seanleabhar Manainnise. Sna seachtóidí a thosaigh na hOicheanta Gaelacha (Oieghyn Gailckagh), is é sin, cruinnithe tráthrialta d'fhoghlaimeoirí Manainnise a chuir ar a gcumas labhairt na teanga a aclú. Níor cuireadh an Mhanainnis ar fáil sna scoileanna roimh an mbliain 1974. Ar dtús, ní raibh ann ach sórt caitheamh aimsire taobh amuigh den churaclam, ach sa bhliain 1982, forbraíodh an chéad scrúdú caighdeánaithe (GCE O-Level) sa Mhanainnis. Go traidisiúnta, labhraítear an Bhriotáinis sa chuid is faide siar den Bhriotáin, ar an taobh thiar den líne idir Plouha agus Vannes. Bhí sí á labhairt ag scothaicmí léannta go dtí an dóú haois déag, ach ina dhiaidh sin, d'fhan sí teoranta do mhuintir na tuaithe in Iarthar na Briotáine nó Breizh Izel, nuair a bhí na daoine uaisle agus, in aithris orthu siúd, na buirgéisigh á tréigean ar mhaithe leis an bhFraincis. B'í an Laidin an teanga scríofa ba tábhachtaí i nDiúcacht na Briotáine go dtí gur tháinig an Fhraincis ina háit sa chúigiú haois déag. Ina dhiaidh sin féin, tá traidisiún liteartha áirithe ag an mBriotáinis, agus bíonn Briotáiniseoirí an lae inniu ag tarraingt ar an tSean-Bhriotáinis ar lorg téarmaíochta teicniúla nó eolaíche don Nua-Bhriotáinis. Bhí monarcacht na Fraince, an t-ancien régime, ar nós cuma liom faoi na teangacha mionlaigh sa tír. I ndiaidh na réabhlóide, áfach, d'athraigh na cúrsaí go hiomlán, nó b'ansin a cuireadh tús le polasaithe a bhí meáite ar an bhFraincis a chur á labhairt ar fud na tíre agus na teangacha is na canúintí eile a bhaint de bhéal na ndaoine. Ní raibh lucht déanta na bpolasaithe seo in ann teangacha a aithint thar chanúintí, nó ní raibh, dar leosan, ach dhá rud ann, mar atá, an Fhraincis agus an patois. Bhí polaitíocht ag baint leis na hiarrachtaí seo, ar ndóigh. Bhí lucht na réabhlóide den tuairim go raibh na teangacha réigiúnda fite fuaite leis an bhfrithréabhlóideachas agus go raibh na monarcaithe agus na sagairt ag baint leasa as na teangacha seo mar bhabún leis an gcosmhuintir a choinneáil scartha ón réasún, ón réabhlóideachas agus ón oideachas. Deir lucht athbheochana na Briotáinise go raibh an lucht rialtais ag cur fíor-chatha sna scoileanna leis an teanga a chur de dhroim an tsaoil go hiomlán, agus go rabhthas ag náiriú na bpáistí a bhí ag labhairt Briotáinise chomh deireanach leis na seascaidí. Bhí an Bhriotáinis á labhairt ag milliún agus trí chéad míle duine sa bhliain 1930. Tá leathmhilliún fágtha inniu, i ndiaidh an ródaigh a rinne na meáin chumarsáide agus córas lárnaithe polaitiúil na Fraince ar an teanga. I dtús na fichiú haoise, bhí duine as gach beirt in Iarthar na Breataine dall ar an bhFraincis ar fad, agus an chuid eile dátheangach san Fhraincis agus sa Bhriotáinis. Faoi lár na fichiú haoise, ní raibh ach céad míle duine aonteangach sa Bhriotáinis. Sa bhliain 1925, bhunaigh an tOllamh Roparz Hemon an iris úd Gwalarn le litríocht a fhoilsiú sa teanga. I rith an chéad naoi mbliana déag eile, bhí an iris seo agus an scoil scríbhneoirí ina timpeall ag iarraidh an Bhriotáinis a ardú ar aon leibhéal leis na teangacha móra domhanda. Bhí idir bhunsaothair liteartha agus aistriúcháin á gcur i gcló ar an iris. Sa bhliain 1946, tháinig an iris úd Al Liamm i gcomharbas ar Gwalarn. Ina dhiaidh sin, bunaíodh sraith mhaith irisí Briotáinise, agus an litríocht ag fás agus ag forbairt sa teanga. Inniu, tá i bhfad níos mó litríochta ar fáil i mBriotáinis ná a shamhlófá le teanga neamhfhorleathan. Sa bhliain 1977, cuireadh bun leis na chéad scoileanna Diwan, a bhí ag dul i muinín an tumoideachais le Briotáinis a theagasc do dhaoine óga. Modh eile ar baineadh triail as san am ab ea Div Yezh nó an cur chuige dátheangach. Sa bhliain 2004, foilsíodh aistriúchán Briotáinise d'eachtraí Astérix. Is fiú sonrú a chur ann go bhfuil cónaí ar Astérix féin sa Bhriotáin, de réir an ghreannáin féin. Tá clú idirnáisiúnta anois ar roinnt fhilí, teangeolaithe agus scríbhneoirí próis a bhfuil saothair scríofa acu sa teanga, ar nós Yann-Ber Kalloc'h, Roparz Hemon, Anjela Duval, agus Per-Jakez Hélias. Tháinig scoilt gheografach idir Ceiltigh Chorn na Breataine agus Ceiltigh na Breataine Bige i ndiaidh chath Beorham sa bhliain 577, nuair a shealbhaigh na hAngla-Shasanaigh an limistéar idir an dá thír Bhreatnacha. 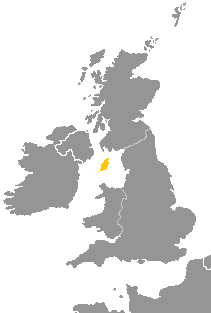 De réir mar a bhí Wessex, an ceann is Iartharaí de na ríochtaí a bhunaigh na hAngla-Shasanaigh sa Bhreatain Mhór, ag ascnamh siar, bhí na Ceiltigh ag cúlú isteach chucu i gCorn na Breataine, go dtí gur bhris an Rí Athelstane an cath orthu ar fad thart ar an mbliain 930. Mar sin féin, bhí an Choirnis á labhairt ansin i bhfad i ndiaidh an chatha seo, agus shroich líon a cainteoirí a buaicphointe sa tríú haois déag. Meastar go raibh timpeall tríocha naoi míle duine (39,000) á labhairt san am sin. Sa bhliain 1549, cuireadh Leabhar na hUrnaithe Coitinne in úsáid i Sasana in áit na seanleabhar urnaithe Caitliceacha, mar chuid den Reifirméisean. Bhí Corn na Breataine coimeádach i gcúrsaí an chreidimh, agus cuid mhaith de mhuintir na tíre dall ar fad ar an mBéarla sa leabhar nua urnaíochta seo. Mar sin, d'éirigh siad amach in aghaidh an leabhair urnaíochta, agus cuireadh an cheannairc seo faoi chois le lámh láidir. Meastar gur mharaigh saighdiúirí an Rí ceithre mhíle duine sa teagmháil, gan aon trácht a dhéanamh ar an anlathas polaitiúil a cuireadh i bhfeidhm ar an gCorn ina dhiaidh sin, mar dhíoltas. Ó thaobh na Coirnise de, chuir an smachtú seo an-luas leis an malartú teanga. Chuaigh an Choirnis in éag sa bhliain 1777, nuair a shíothlaigh an cainteoir deireanach dúchais, Dolly Pentreath. Bhí Béarla aici chomh maith leis an gCoirnis. Fuair an cainteoir deireanach aonteangach, Chesten Marchant, bás sa bhliain 1676. Táthar ag áitiú, áfach, go raibh leagan éigin den Choirnis, leagan nasctheangaithe b'fhéidir, á labhairt ag cúpla duine chomh deireanach leis an dara leath den naoú haois déag, agus gur chóir "an cainteoir deireanach traidisiúnta" a thabhairt ar John Davey (+1875) nó Alison Treganning (+1906). Thosaigh athbheochan na Coirnise i dtús na fichiú haoise, nuair a d'fhoilsigh Henry Jenner agus Robert Morton Nance a leagan atógtha den teanga, mar atá, Kernewek Unyes nó an Choirnis Aonchineálaithe. Bhí an caighdeán seo bunaithe ar Choirnis na litríochta Clasaicí, mar atá, Coirnis liteartha na ceathrú is na cúigiú haoise. Chuaigh Jenner agus Nance go mór i dtuilleamaí na Breatnaise agus na Briotáinise le haghaidh nuafhocal, áfach. Ina dhiaidh sin, áfach, tháinig leaganacha eile den Choirnis athbheoite ar an bhfód. B'é an chéad cheann acu ná an Choirnis Nua-aimseartha nó Curnoack Nowedga. B'é Richard Gendall a chruthaigh é, agus é bunaithe ar cheartlitriú agus úsáid na scríbhneoirí dúchasacha ba dheireanaí. Mar sin, tá litriú an chineál seo Coirnise an-chosúil le litriú an Bhéarla. Sa bhliain 1986, rinne Ken George leasú iomlán ar an gCoirnis. D'atóg sé córas na bhfuaimeanna ón mbonn, agus b'é an córas foghraíochta seo bunús an litrithe a chuir sé chun tosaigh. Kernewek Kemmyn nó an Choirnis Choitianta a tugadh ar an gcaighdeán nua seo. Is iomaí Coirniseoir a chuaigh leis an gCoirnis Choitianta, ach san am céanna, is iomaí Coirniseoir a fuair locht uirthi. Tá sí ina cnámh spairne idir na Coirniseoirí i gcónaí, go háirithe ó chrom Nicholas Williams, teangeolaí agus Coirniseoir, ar í a ionsaí agus a leagan leasaithe féin den Choirnis Aonchineálaithe, nó Kernewek Unys Amendys, a chur chun cinn. Mac Con Midhe Torlach, 2005, Iarsmaí na Teanga, Na Teangacha Ceilteacha i Stair Smaointe na hEorpa, (Baile Átha Cliath, Coscéim). O'Reilly Camille, 1991, The Irish Language in Northern Ireland: Politics of Culture and Identity, (Nua Eabhrac, St. Martins Press). Tugadh an leathanach seo cothrom le dáta an 5 Aibreán 2019 ag 23:45.